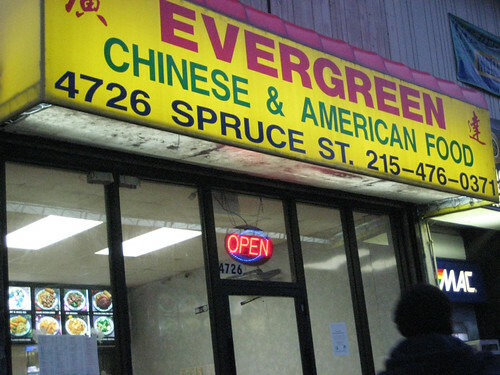 So I decided, when I was in Philadelphia, to stop for my favorite Philly-Chinese snack — the Philadelphia Cheesesteak Roll, which basically looks like an egg roll on the outside….I headed to the Evergreen Chinese Restaurant (4726 Spruce St, Philadelphia), where you can see on their Menupages entry it is listed for $1.25 (quite a bargain). 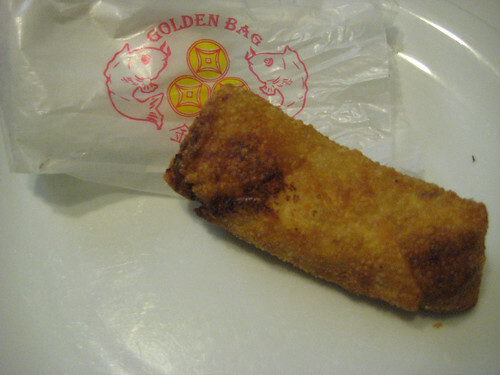 And indeed, you can see it looks like an egg roll from the outside. But that is deceptive. 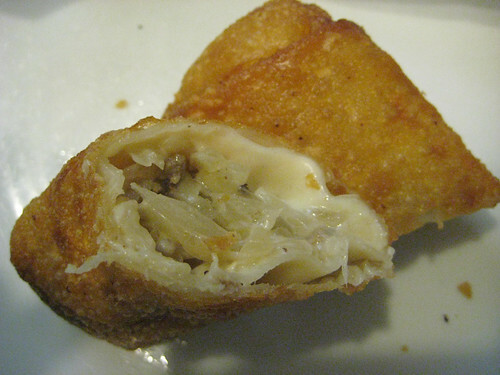 Until you cut it open, and the creamy cheesy meaty goodness oozes out. It’s basically onion, shredded meat (beef?) and a creamy light cheese. They also sell a much more expensive version of this at the Four Seasons, which is more dry and not as good in my opinion. These cheesesteak roll has spread beyond Philadelphia — to Chester County. I found it in Tennessee, because the Chinese family had come from Philadelphia. 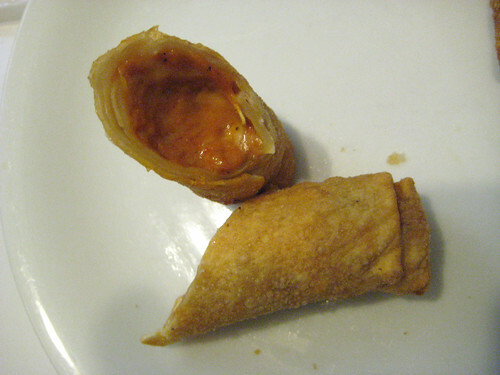 Evergreen has a pizza roll too. Only $1.